The ability to handle a check might be a skill completely lost within the next generation. With paychecks commonly being directly deposited and online bill pay, there’s rarely a scenario where a check must be used. But there are those cases where knowing how to deal with a check is critical. My son was recently given a birthday gift in the form of a check from a grandparent. He looked at me with confused eyes and asked, “I have to sign this thing somewhere, right?” It reminded me of the 3 check skills everyone should have. Believe it or not, there are businesses in rural parts of the country that still do not accept debit or credit cards as payment. In those cases, you’ll need either cash or a checkbook, and the checkout lane is not the time to Google how to write out a check. For the occasional rebate check or birthday gift from grandma, you still need to know how to endorse the check. Without that endorsement, you won’t be able to turn that check into usable cash. When setting up electronic transfers using your account, you typically need to supply your banks routing number as well as your account number. A person could call the bank and ask for them, but it’s a whole lot easier (and faster) to simply look at the bottom of a check and get it yourself. The use of checks is declining, and there may come a day in the not too distant future where they are no longer used a tall, However, they still serve a purpose in today’s society and it’s important that younger people learn how to use them, and what useful information can be obtained from them. Having these skills will ensure you’re able to use all financial payment methods available. 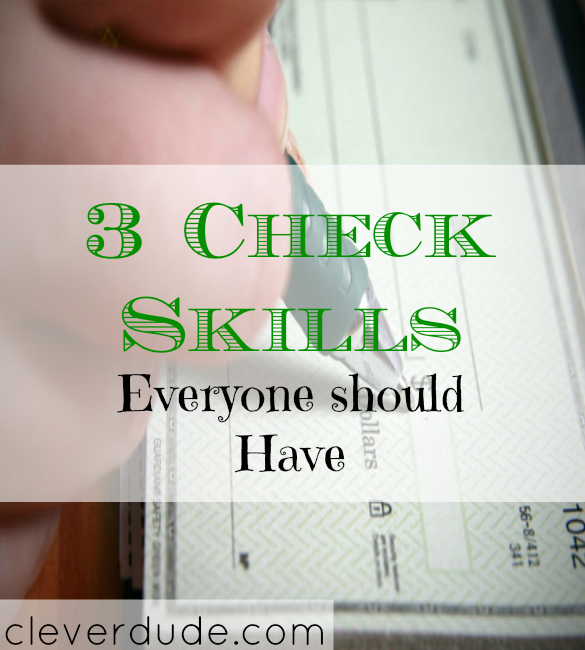 How about you, Clever Friends, have you taught your children how to use a check? Are you someone that doesn’t know how to write or use a check?